On December 30, 2018, a seven-year-old Houston girl named Jazmine Barnes was killed when a gunman drove up next to the vehicle she was in and opened fire on its occupants. Her mother, LaPorsha Washington, was wounded; Jazmine was struck in the head and died on the way to the hospital. As the New Year’s celebrations went on, the police made the case a top priority, and the case made national news. The police did have some leads. Jazmine’s older sister and other witnesses offered a description of the shooter: a white male, thirties to forties, with a light beard wearing a dark hoodie and driving a red pickup truck. Police immediately issued a sketch based on that description, later followed by an image from a surveillance camera that showed the red truck driving away. The case holds several interesting lessons for skeptics, including about investigation, statistics, the reliability of eyewitnesses, confirmation bias, and finding patterns where none exist. The police began looking for suspects based on a probability profile, examining the statistically most likely suspects given the circumstances. For example most people are assaulted and murdered by someone they know, so if a person is found dead the police begin searching for suspects among relatives and acquaintances before casting a (much) wider net to include strangers. One aspect of Jazmine’s murder was especially chilling: it was seemingly random, the attack unprovoked by any known confrontation that too often escalate—such as over money, love, or something as mundane as a parking space—into violence.  Given the victim profile, statistically the most likely suspect was African-American, specifically a black male; more than 80 percent of all crime involves victims and perpetrators of the same race. Whites and African Americans of course can and do attack each other, but they are the exception, not the rule. Medical professionals adopt the same tactic to rule out the more likely causes of headaches or back pain, for example, before screening for rare diseases. As they say, if you hear hoofbeats, think horses not zebras. Despite police saying they were exploring all possibilities about the motivation, many in the community quickly attributed it to a hate crime. Houston activist Deric Muhammad held a press conference outside a Harris County Sheriff’s Office and suggested that the death of Jazmine Barnes was the work of a white supremacist serial killer. Muhammad linked the girl’s death to a previous shooting, on August 30, 2017. In that case a 21-year-old black man, A’vonta Williams, was shot by a white male driving a Ford F-150 truck. Williams survived, but police were unable to make an arrest in the case. Muhammad suggested that police incompetence (or refusal to investigate) played a role: “If A’vonta Williams’s shooter had been found, would Jazmine Barnes still be alive?” The link between the two attacks seemed not only plausible but obvious, and Muhammad invoked probability and statistics: “What are the odds that two black families were fired upon by a white male in a pickup truck within a one-year time span on the same block? We’ve got to call it what it is: Black people are being targeted in this country. Black people are being targeted in this county. Black people are being targeted in this city. 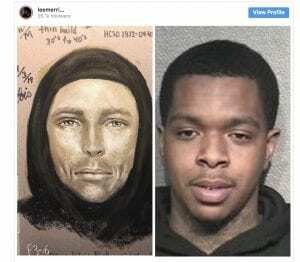 We are thoroughly convinced that the killing of Jazmine Barnes was race related.” Kisshima Williams, a relative of A’vonta Williams, agreed, saying “It has to be the same person. It’s too similar.” Muhammad was not alone; Rep. Sheila Jackson Lee implored those gathered at a rally for Jazmine, “Do not be afraid to call this what it seems to be: a hate crime.” If the crime was indeed random—as it appeared to be—racism seemed a plausible explanation. The question Muhammad raised is a fair one, though the odds are difficult or impossible to calculate. The two shootings happened about six miles apart, and were in different vehicles (the 2017 shooting involved a gray, silver, or white truck pickup instead of a red one, and an AR-15 style automatic weapon instead of a handgun). As noted, truly random violence is quite rare; shootings almost always emerge from personal conflicts and grievances, between friends, lovers, co-workers, and so on. Conversely, the circumstances of the two shootings might suggest instead that the shooting of a black family by a white man from a car on a Houston street is so rare that it’s likely to be the same person. After all, a year and a half went by between the attacks. If random gun attacks on black families on public roads by white suspects in trucks happened often, there would presumably be a dozen or more cases (both solved and unsolved) to compare the Barnes shooting to. Given the vagaries of eyewitness descriptions, it is of course possible that the eyewitnesses in the Williams shooting may be wrong about important details including the race of the attacker. Soon Harris County Sheriff’s Office announced that Eric Black Jr., a 20-year-old black man, had been arrested for the shooting. Black admitted to being the driver in the car, while Larry Woodruffe—also a black man in his twenties—fired the fatal shots into the Barnes’s vehicle. It was a gang-related drive-by shooting, and the pair had mistaken their vehicle for their intended target. What of the belief that the Barnes car was randomly targeted? This logical mistake made by many comes in the form of a false-choice error: Either the Barnes family was randomly or intentionally targeted. 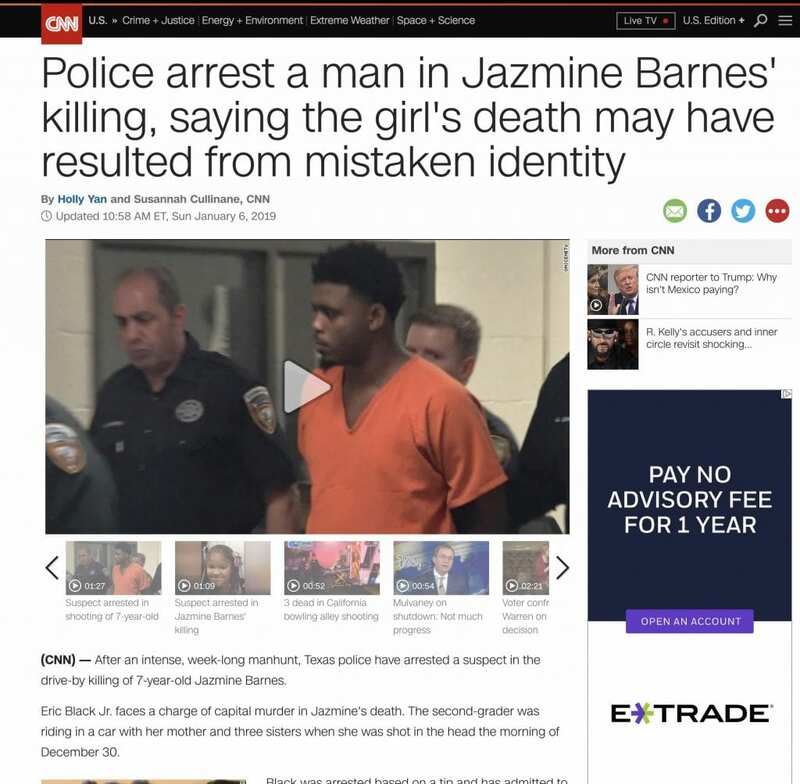 In fact it was neither: Jazmine and her family were not randomly targeted—by a racist or anyone else. One this was understood the pieces of the puzzle began to fall into place. It was not, after all, a random shooting, so that aspect of the probability was correct. Because of confirmation bias we often connect dots or data points that may or may not actually be connected. What about the prime suspect, the thin white man in his 30s or 40s wearing a hooded sweatshirt who was last seen driving a red pickup? That turned out to be a case of mistaken eyewitness testimony. 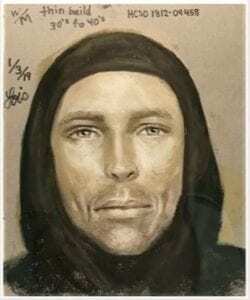 It was probably a man named Robert Cantrell, who closely resembled the eyewitness sketch and was in the area that night but had nothing to do with the attack. The fallibility of eyewitness testimony is widely known (among psychologists and police detectives anyway, if not among the public), and the mistake is not the fault of the Barnes family or other witnesses. No one was lying or hoaxing; it was an honest mistake—but a mistake nonetheless. 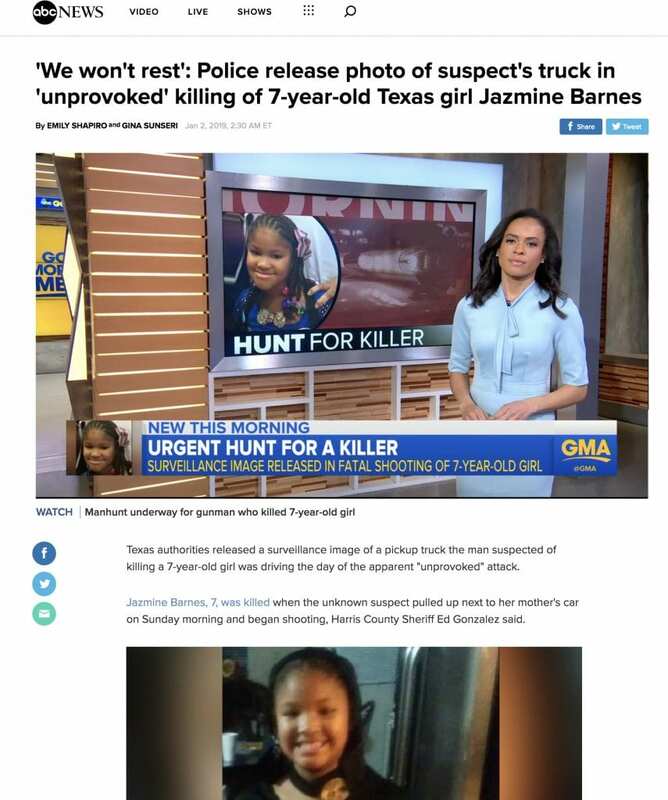 Shaun King, a civil-rights activist who raised money for a reward in the case and who helped crack it by forwarding a tip about the gunman to the authorities, stated that he had received information that Black and Woodruffe had killed Jazmine Barnes on January 3, though the following day he issued a tweet about Cantrell, suggesting that he’d played a role in the crime. Mistaken eyewitness reports are common, and had terrible consequences in 2002 when snipers attacked the Washington, D.C., area, terrorizing much of America. Based upon eyewitness descriptions, law enforcement agencies alerted the public to be on the lookout for suspects in a white box truck or white van. Fairly detailed descriptions were offered, including a roof rack. Thousand of vehicles were stopped and searched, jamming highways for miles. The focus on a white van intensified after the October 14, 2002, shooting outside a store in suburban Virginia, when a man claimed to have seen the shooter standing next to a white- or cream-colored van. The man was found to have lied to police about what he saw and made up the story. At least one “eyewitness” lied, and others got it wrong. The snipers, John Lee Malvo and John Allen Muhammad, were found in a dark blue 1990 Chevrolet Caprice. “We were looking for a white van with white people, and we ended up with a blue car with black people,” said D.C. Police Chief Charles H. Ramsey. In the end, the emphasis on the white van by both the police and the public almost certainly cost innocent lives. According to the Washington Post, the police had stopped the Caprice on at least ten separate occasions in the area of sniper attacks, but it was let go because it was not the white van that eyewitnesses had reported. This is a tragic case of multiple mistaken identities, wrong assumptions, and phantom fears. As it happens, the sensational speculation about a racist serial killer was false. The actual killers turned out to fit the statistically most likely profile. This was little surprise to the police; serial killers are quite rare, and the subset of serial killers motivated my racism is even smaller. Shootings on Houston streets, on the other hand, are far more common. King is mistaken; no one doubted it was possible that the shooting was motivated by hate. Bizarre, senseless crimes make the news all the time, from serial bombers in neighboring Austin to mass shootings. Anything is possible, and the fact that many thought it possible that the act was a hate crime is not a “devastating conclusion” or indictment of dismal race relations at all; that idea had been widely circulating and asserted as probable, and reported nationally. As law professor and director of the Center for the Study of Race and Race Relations at University of Florida Law School Katheryn Russell-Brown notes in her book The Color of Crime, “except for hate crimes, most of us have difficulty imagining someone White committing a random act of violence against someone Black” (p. 111).